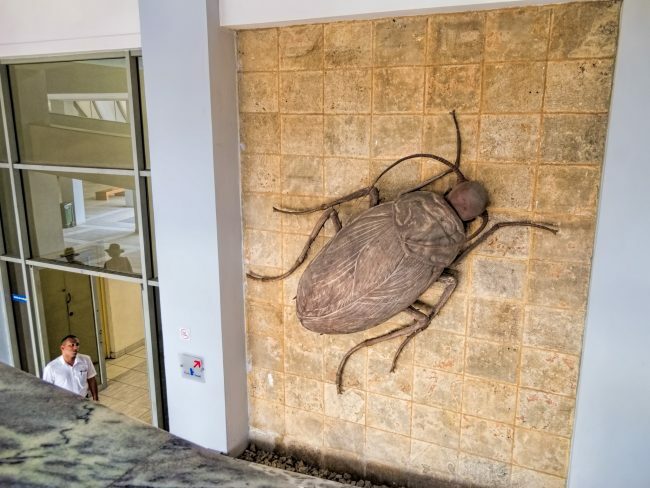 In Cuba, history, heroes, traditions and renowned figures of art and culture are so reverently remembered and celebrated that sometimes museums are created for the most random topics and reasons. Refraining from entering every place labeled as a ‘museum’ is therefore a good strategy when in Cuba. Just don’t be cautious to the point of disregarding them all – if you are interested in art, literature, history and culture, here are the ones you won’t want to miss in Havana. Although the National Museum of Fine Arts (the MNBA – ‘Museo Nacional de Bellas Artes‘ – in its Spanish incarnation) is a single institution, in practice the Cuban and international collections are divided into two separate buildings (see second building below). Of the two, the Cuban collection is undoubtedly the most valuable. 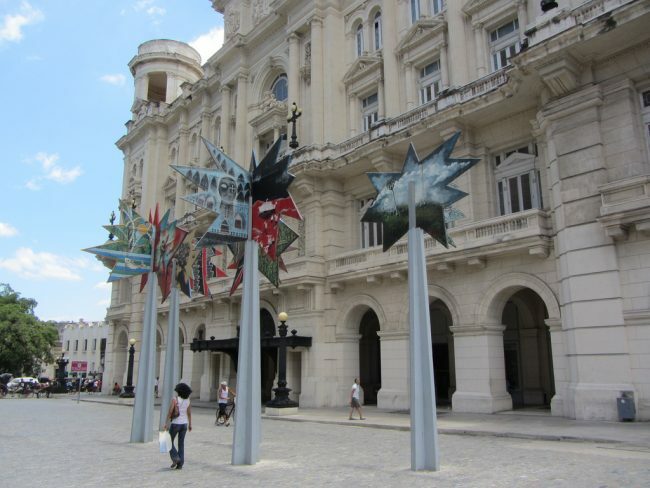 Paintings, sculptures, engravings and installations by some of the best Cuban artists in history can be seen here. Organized chronologically, the exhibition starts with works from the 16th century, evolving through different periods of formation of Cuban identity – it was not until the dawn of the 20th century that more authentic and distinctive styles started to be appreciated. From the boom of modern art in the 1930s, to the works inspired by the changes that followed the 1959 revolution, to pieces from the 1990s following the collapse of the Soviet Union, this collection offers a fascinating portrait of Cuban history and culture. The vast majority of the objects on display at the Museum of the Revolution celebrate Cuba’s struggle against the Fulgencio Batista dictatorship that controlled the country for most of the 1950s, especially the history and the actions of the 26th of July Movement led by Fidel Castro. From torture gear to vehicles, planes and weapons that reflect the cruelty and might of the dictator, to uniforms and personal objects that speak of an opposition with less resources and more resolution, the collection tells a story of a confrontation of unequal forces. 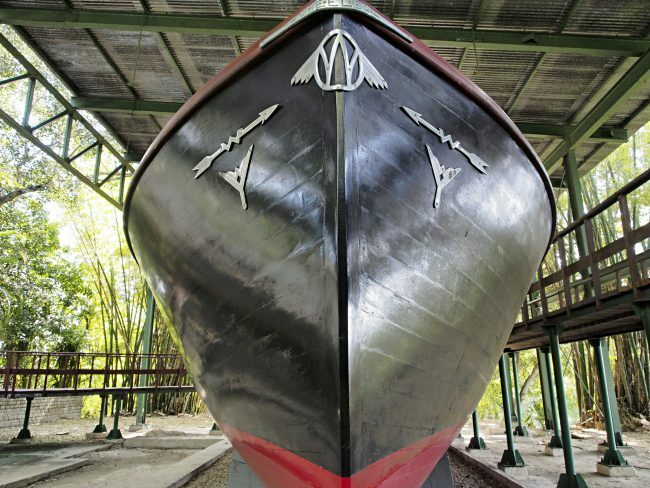 In addition to the indoor collection, housed by Cuba’s former Presidential Palace, there’s an outdoor exhibition that, among other large pieces, includes the Granma Yacht used by Fidel Castro and his men to return to Cuba from exile in Mexico in 1952. 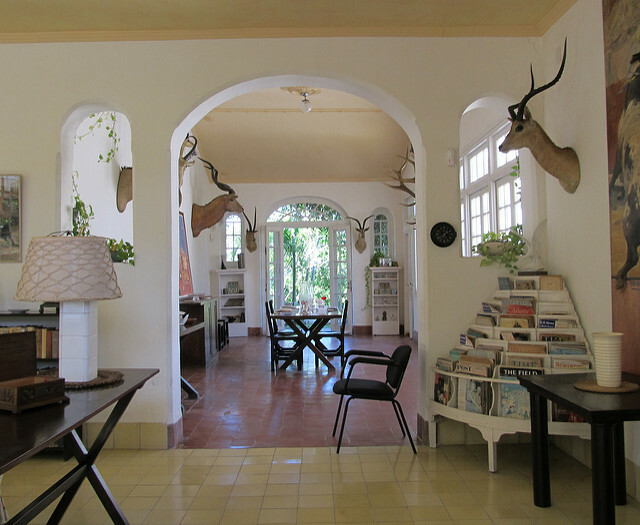 The country house where American author Ernest Hemingway lived from 1939 to the end of his days in Cuba is today a museum that treasures a valuable collection of personal objects, from over 9,000 books to shotguns and hunting trophies. The display preserves the original disposition of rooms and objects in the house. Pilar, his old yacht, is also at this location. Unfortunately, access to the inside of the house is no longer allowed (it used to be many years ago, when the volume of visitors was lower), so you will have to peep into the rooms through the windows while standing outside. Guided tours are available with plenty of information about the author’s daily routine, his family and hobbies, and his relation to Cuba. Only a few blocks away from the building that houses the Cuban collection of the MNBA, you will find the former Asturias Center, which today is home to a large display of international art. Since its foundation in 1954, the museum had grown its collection through donations and acquisitions, but after 1959 works expropriated from rich Cuban families became a new source for the museum, counting over 40,000 pieces to this day. The organization here responds more to the origin of the works: from important examples of ancient art from Egypt, Rome, Etruria and Greece, to small collections from Latin America, Spain, Germany, France, the United States, Italy, Flanders, and Holland. 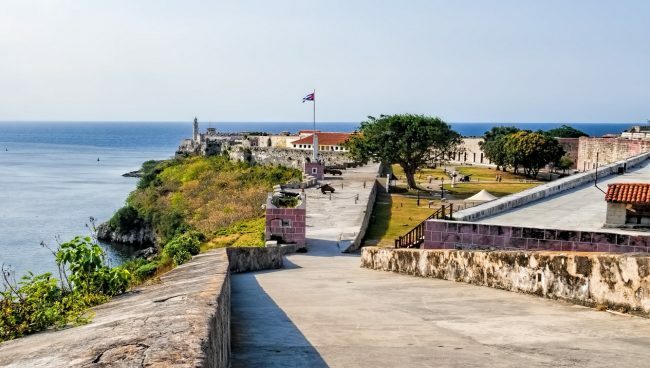 This military complex is made up by two of the main fortresses built by the Spanish Crown to protect its possessions on the island: Morro Castle and the Cabaña Fortress. 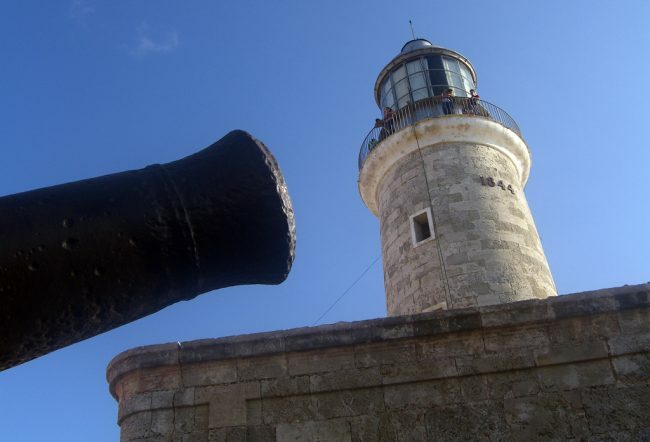 Morro Castle is strategically located at the entrance of the Havana bay. It is better known for its lighthouse (installed in 1895), which has become one of the main symbols of the city of Havana. Among the objects on display at the museum are artillery pieces and other weapons and tools. The San Carlos de la Cabaña Fortress (popularly known as simple La Cabaña) is the third biggest colonial fortress in the Americas. It was built after Cuba was returned by the British to Spain, hoping to avoid future similar attacks that took advantage of the area’s lack of protection. As a high point overlooking the city from across the bay, it’s an excellent place to enjoy a great view of Havana and take pictures. A daily ceremony is held in its premises re-enacting the traditional cannon shot that announced the closure of the city gates at 9pm. 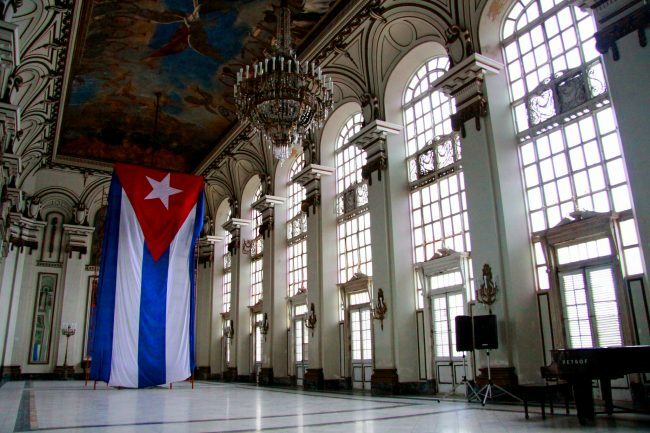 While the Museum of the Revolution tells a good part of Cuban history, the Museum of the City treasures an important number of pieces linked to the colonial period and Cuba’s struggle for independence during those years. 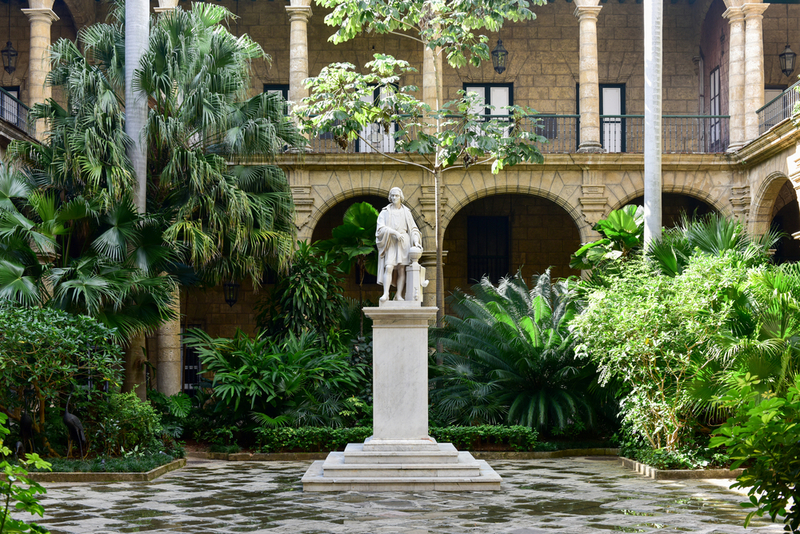 Housed by the palace that was home to the Captain General (the Spanish Crown’s highest representative on the island), the museum includes 40 rooms devoted to Cuba’s Spanish heritage and the origins of the Cuban identity. From ballrooms and offices, to stables and administrative facilities, the museum conveys very well the idea of how the powerful and the rich used to live in the 18th and 19th centuries in the New World. The Museum of Decorative Arts in Havana is a lavish mansion that belonged to one of Cuba’s richest families in the 1950s, and which was turned into a museum in 1964. Each room of the museum is a masterclass in interior decoration. Luxurious furniture, sculptures, and all kinds of pieces dating back to the 16th century are tastefully combined and grouped into different rooms devoted to individual styles. The Art Nouveau and Art Deco rooms, for instance, include pieces by the most important manufacturers for these styles, such as Louis Confort Tiffany, Emile Gallé, René Lalique and Demetre Chiparus. The collection is made up by over 33,000 pieces, by the most exclusive brands and manufacturer in the world, including France’s Sèvres, Paris, Chantilly, Limoges, and England’s Derby, Chelsea, Wedgwood, Worcester and Staffordshire. Havana’s Napoleon Museum treasures one of the most important collections of objects linked to the life of the the French emperor (outside of France) as well as objects linked to the French Revolution through the times of the Second Empire. Located in Vedado, near the University of Havana, the building was the home of sugar magnate Orestes Ferrara, whose properties were seized by the government that came to power in 1959. Over 8,000 items are on display at this sumptuous mansion, including weapons, military equipment, furniture, coins, and Napoleon’s telescope and death mask, brought to Cuba by the last doctor who treated him before his death. This typical distillery museum offers guided tours where you’ll become familiar with the production process of Cuban rum, from the very beginning at sugar plantations to production, and consumption (the tour ends at the bar, with rum shots). Tours take some 30 minutes and cost around US$5. 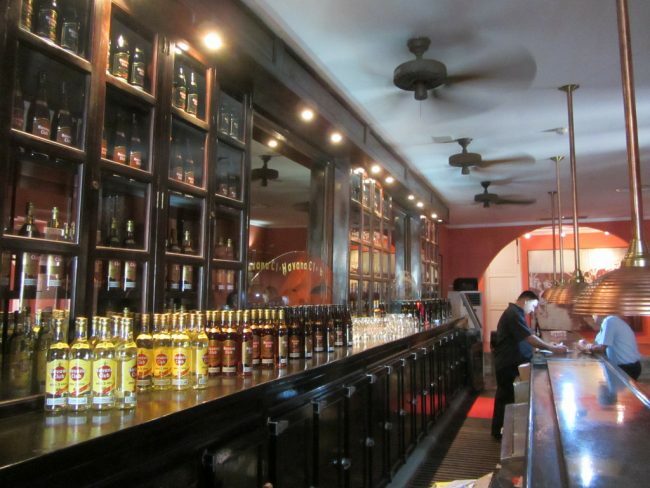 The museum is mainly devoted to Havana Club, the country’s top band of rum. There’s a series of one-room museums scattered all over Havana that could, in some cases, be of interest, as long as you have realistic expectations about what they offer. The Museum of Chocolate, for instance, is a tiny chocolate factory showcasing a few objects and posters related to chocolate production, where you can have cold chocolate milkshakes and other chocolate products. The Maqueta de la Habana Vieja is a room containing a model of the old part of the city, while the Dark Room is a room on the top floor of a building in Old Square where you can see in real time what’s going on on the local rooftops and other nearby places in a projection in a dark room.